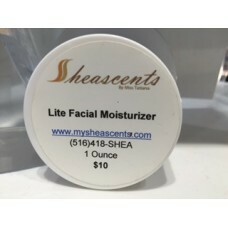 Shea Lite Facial Moisturizer is the perfect daily moisturizer that provides a base of moisture that lasts all day. Our lightweight moisturizing lotion will leave your skin with a healthy-looking, beautiful appearance every day. Moisturizing daily to help prevent premature skin damage and maintain elasticity.